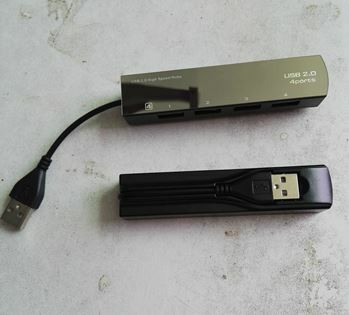 4 USB 2.0 port with high speed 480 Mbps, mini slim size. in black color. with mirror surface.